I currently own a Combat Commander that has satin nickel finish from the factory and know of others that have varying nickel finishes, Electroless, satin, bright etc. As you can see mine has both gloss and satin. I bought a blued Gov. new in 78. It came with stocks like are on the 79 GCNM MkIV Series 70 on top in the picture below. 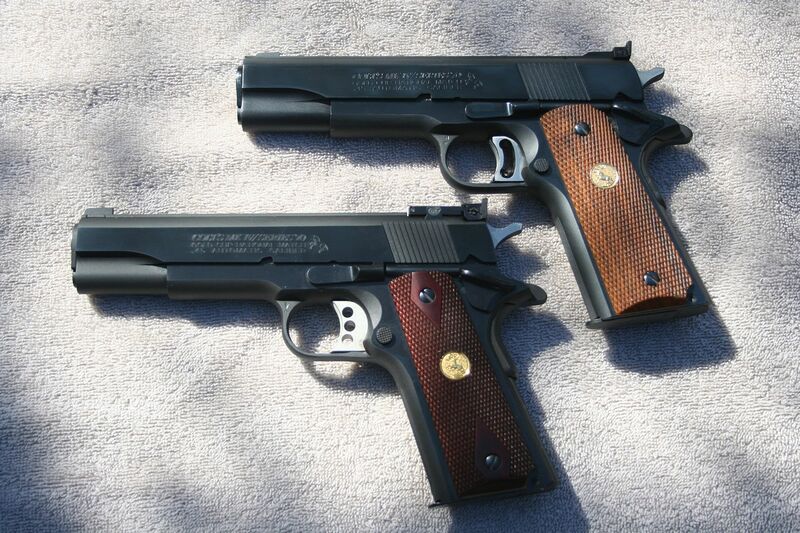 On the bottom is a 2015 GCNM MkIV Series 70 showing the stocks with meds Colt uses now. I bought a Satin Nickle Commander new in 78 and it had the same checkered grips with gold meds that are in the picture on the blued 79 GCNM. Trouble is the finish showed wear quickly and the Silver sights were interesting. I traded it in on a little Detonics in 84. 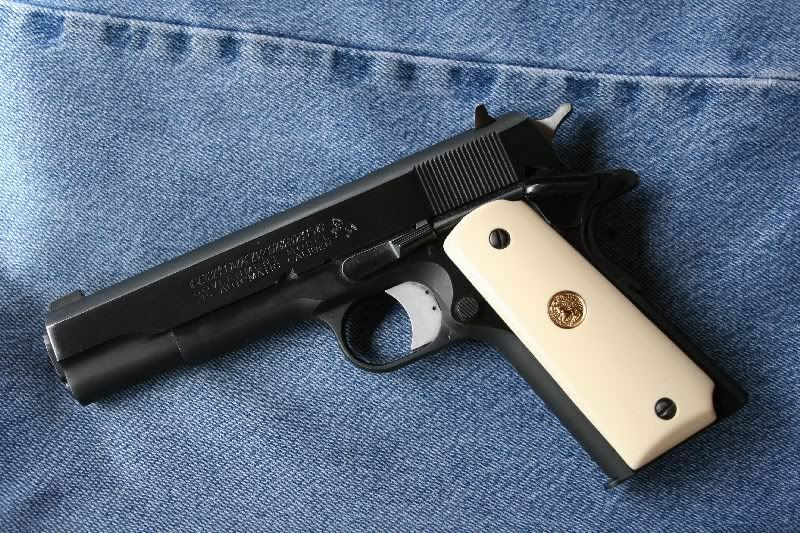 Still, I remember new Nickle finished Colt 1911s in display cases of gun stores I went in. One interesting thing is my 78 Gov has a serial number of 62xxxG70. Colt made a lot of Govs that year I guess. Still have that pistol. Back in 78 I took it to a gunsmith who installed better (to me) sights, throated the barrel, and opened up and flaired the ejection port. He also helped me install the long trigger and flat MSH. I carried it for years and these days, after over 40K rounds, it is semi retired. The side flats were polished and the rounds and back where bead blasted. The correct stocks were more then likely the full checkered walnut with gold medallions. The sandblasted walnut with silver medallions were used up to the mid-late 1970's.